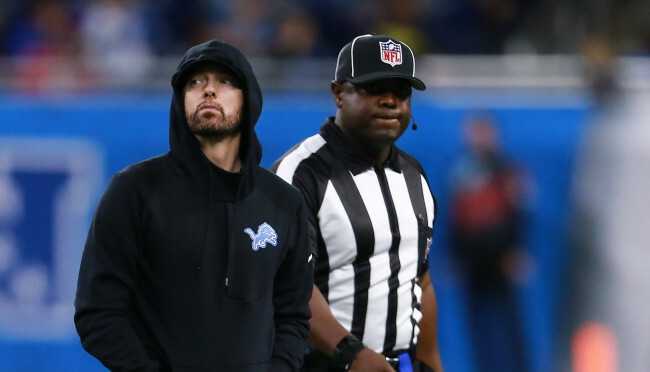 Eminem addresses to the AAF league to permit the players to fight in order to make it more successful. PLEASE ENTERTAIN THIS THOUGHT REGARDING THE @AAFIRON @AAFEXPRESS GAME: ALLOWING THE PLAYERS TO ACTUALLY FIGHT WOULD BE KEY TO LEAGUE’S SUCCESS LIKE HOCKEY, I WOULD WATCH EVERY GAME (EVEN THOUGH THERE IS NO DETROIT TEAM YET – HINT). DON'T BLOW IT.